It is my pleasure to introduce you to another core member of our Peer Education team, Aditi! Aditi is our Workshop Coordinator, and she works enthusiastically to ensure that all of our workshops around campus are set up effectively and efficiently. She is always ready to get to work and we appreciate her fantastic work ethic! Learn more about Aditi below. When I get stressed I like to decompress. When I’m really stressed, my feelings and emotions tend to build to t he point where I have to create environments for myself that are less stimulating. The ways that I do that are unplugging, reading a good book, or watching a good tv show. I recently learned of a new type of deep breathing exercise through the CAPS Stress Less presentation and started incorporating it into my routine. It works really well. I’m passionate about a lot of things! I love children and I enjoy working with them on their academics and overall well being. I like keeping active and I enjoy sports such as tennis and baseball. I recently started kickboxing and it’s a lot of fun. I also like curling up with a good book and keeping my finger on the pulse of pop culture, watching TV and movies. If I could tell my peers anything about CAPS, I would say that CAPS services are confidential, and genuinely there to help you, no matter what you think the size or the scope of the problem is. CAPS works on a day to day basis to help students deal with their individual stresses, but beyond this, they work hard to reduce the stigma associated with seeking mental health services and that’s really important. Aditi is a fourth year Intensive Psychology major, affiliated with Crown. Peer Educator Sareil shares her informed research and knowledge with us on the issue of police brutality and its effects on the mental health of people of color and particularly Black males in America. Read on to learn about Sareil’s research and her ideas for reform. The result of racism and racial discrimination in America is exemplified in Black people when they are not able to live a conscious life without being reminded of their Blackness. The Black experience encompasses being under constant threat and is displayed through inescapable, draining, and understated behaviors from outsiders, for example, police. The criminal justice system—more specifically the police force—has been known as a threat to mental health, due to impacting stress. Police shootings of Black men in America become viral within minutes of the murders as technology advances, thus, this makes the endless murder of Black men displayed graphically on mass media outlets salient in the Black mind. With this knowledge, it is evident that the outcomes of these fatal encounters are more than likely what comes to mind when Black males encounter the police. The contact of police with Black males, whether or not a law is broken, is a likely event that will increase stress exponentially before, during, and even after the encounter. Various empirical studies have examined the relationship between stress and police contact in Black males and in fact, result in similar findings. Landers, Rollock, Rolfes, & Moore (2011) explored the attitudes toward police in relation to the frequency of police contact along with the stressfulness of those encounters among Black college students. They used 101 (66 women, 35 men) Black undergraduates from various Universities to rate the frequency and stressfulness of race-related, college-related, and police-related events. The rating was based on a stress scale that calculated the mean stress score for each item. Landers et al., (2011) results were that participants described police contacts as being stressful and the Black men reported significantly greater stressfulness of police contacts. The police-related events had high differences in whether or not the contact was kind or threatening, therefore, they found that not only was stress considerably higher in threatening contacts but Black men had those encounters far more than the Black women. These findings suggest that stress connected with police contact is explicit and separate from other factors of the Black undergraduate student’s life (i.e. exams, extracurricular activities). In addition, the findings emphasize the need for more research on the contributing factors of stress increase in the Black community. Furthermore, police contact may threaten the health of Black men in several ways, therefore the ways in which police talk, approach, handle, and view Black men must be investigated and altered completely. The stress provoking encounters only add to the salience of one’s Blackness, particularly for Black men, and will not improve if the police force is not reformed in its overall training that still to this day has racially discriminating undertones at its core. Moreover, suggestions for future research revolve around studying the training that police participate in, examining how it targets Black men, and proposing ways to reform the system. Hey Slugs! Can you believe the quarter is more than halfway over? Most of us are recovering from midterm season right about now! So to add a little cheer to our mid quarter struggle, I’d like to introduce you all to a very special Peer Educator, Kyle! Kyle is our administrative coordinator this year and they bring much needed organization and a lot of fun to our group as we work together to destigmatize mental health issues! Kyle is a third year student, majoring in Intensive Psychology, and they are affiliated with Cowell College. Many of us stopped and took time to celebrate the beautiful holiday of Diwali not too long ago. This is a time of year where many celebrations are coming and going, and while the holidays can be a beautiful time, they can also be a very difficult time for many people. It is important to recognize this and recognize that whatever holiday you may be looking forward to, don’t let your own flame burn out! I eagerly gather my candles and matches because this week is very special to me – and my community. This week, an entire day will go to celebrating light – the light within us all, the light that defeats darkness and the numerous lights glowing around us.This is a day where all of our houses are lit with candles, lights, and most of all, hope. Diwali, also known as Bandi Chhor Divas, is one of my favorite holidays of the year and for many reasons. Within Sikhism, Diwali marks a day that is celebrated in remembrance of our Gurus victory in helping 52 kings escape from imprisonment and return home. Personally, this serves as a constant reminder to not give up on helping someone; even if it may seem impossible, a way can be found. To celebrate this, Sikhs spread light within their homes, and within the Sikh gurdwara – the Sikh place of worship- by lighting candles and decorating with lights together. Annually, being surrounded by so much light, positivity and love, reminds me of the light to my darkness. For me, my faith and family have always been the light that never dimmed, even in my darkest times. In fact, darker times made it shine even brighter. For each person, this light can be different, and for some it may shine brighter or for some it may dim. Just like candles, one light can ignite the next, leading to darkness vanishing all together around you. A friend once told me I was like a diva – a candle. At first, I was confused. How was I anything like one of these hundreds of little lights? Then, she continued to explain. She told me that I continuously brought light and inspiration to those around me, but I needed to remember not to burn out while doing this, and keep some light and warmth for myself as well. Ignite those around you, help their flame flourish, bring light into their lives, soak in the little beauties around you, and remember to practice self care in the midst of it all. Meet Jorge! Jorge is a new CAPS Peer Educator with a passion for helping others and spreading kindness! Jorge brings a lot of great energy to the group and we value him greatly as a Peer Educator. Read on to learn fun facts about Jorge! When it comes to relieving stress I try and set time aside in my week to do things that I enjoy. During this time I do a lot of things to de-stress. Majority of the time I go to Its Beach, a local dog beach in Santa Cruz, I just sit and admire the view of the beach as well as the dogs running around. Another thing I do to relieve stress is listen to music whenever I can, whether I am walking to class or when I’m just in my room studying. scared of talking about mental health and it’s brushed under the rug. I became a psychology major because I wanted to help reduce this stigma and show people who have a mental illness that they are not forgotten. They are visible and valid! Something I’d love for my peers to know about CAPS is that there are many resources at their disposal. Most of those do not even require you to come to the CAPS office and we have many programs and workshops meant to help students with a range of stressors and difficulties. Jorge is a second year Oakes College affiliate majoring in Psychology. All around us, people need help. And more often than not, the people we care about most need our help. But it can be difficult to know when to reach out and how to help. Peer Educator, Jorge offers some great advice about small things you can do to be there for the ones you love. It can be difficult seeing someone you care about slowly losing themselves and shutting down due to a menta l illness. It can leave you scared and hopeless, and not knowing how to help can make you feel worse. But it is okay not to know what to do all the time. Here are some things you can do when you see a loved one struggling with a mental Illness. Check up: A simple message or phone call asking your loved one if they are fine or how they are feeling can go a long way. Now you do not have to do this everyday, but it is good to ask every now and then when you find yourself having a few minutes to spare. Listen: Sometimes people just want someone to listen to the things that have been bothering them. Ask them if they would like your input, if not just offer support. Treat yourself: Go out and spend time together, you can go out for dessert or simply go out and walk around town. You do not have to spend money, there’s many fun things to do around town. 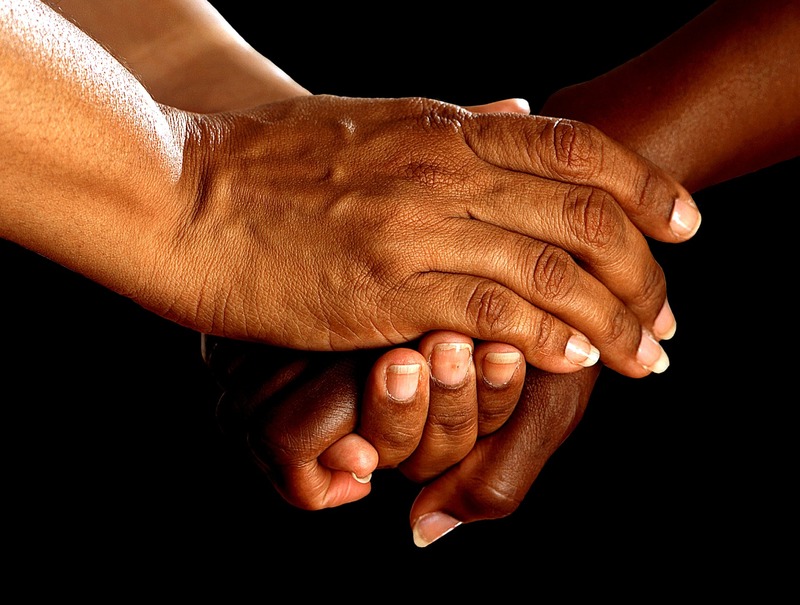 Reassurance: It is always a good idea to reassure your loved one that there is help, whether it be from you or a professional. It can help ease their soul and make them feel comfortable knowing they have someone to trust. Respect them: Just because they have a mental illness does not mean that they deserve any less compassion. Respect them as an individual and respect their boundaries. While these may have just been a couple of tips for taking care of a loved one, it is also important to take care of yourself. Be sure to set some time aside for you, so that you are able to unwind as well. Helping others can be emotionally and physically draining, so remember to charge up your batteries. You can’t take care of others if you are not taking care of yourself! Sareil is a fantastic new addition to our team this year! Her student leadership experience and passion for advocacy make her a valuable voice in the room. Read on to learn more fun facts about Sareil! I like to call back home (usually talk to my Mom, Dad, or Siblings), take a long nap, go outside and take deep breaths with no electronics near me, or eat a really good meal…then nap. I am extremely passionate about helping/contributing to the ABC (African/Black/Caribbean) community at UCSC. Given the small number, I do anything to foster community for ABC identified folks. I am also very passionate about being involved in general and keeping my work ethic at an all time high. This encompasses volunteering at animal shelters, veterans centers, being a liaison for undergraduates and graduates, as well as many other things. Lastly, I am passionate about making people smile. I usually give compliments to any person I see that I admire, whether than be their physical appearance, intellectual, style, personality, voice, laugh, etc. 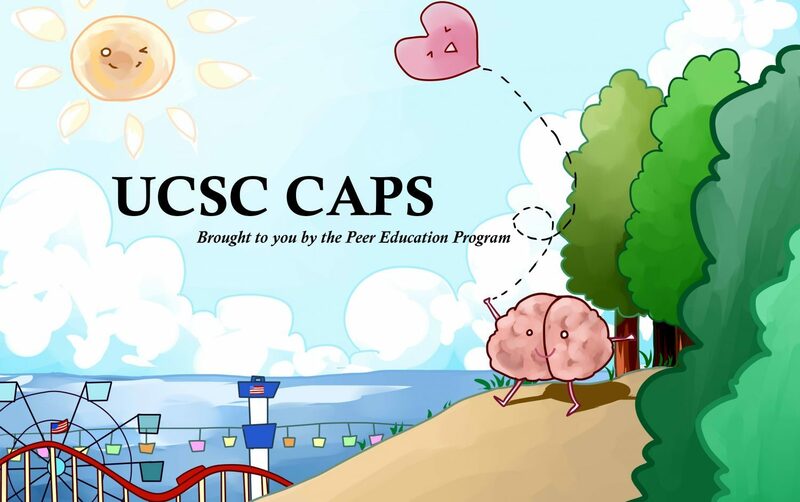 If I could share one thing about CAPS that I would like my peers to know, it would definitely be that CAPS is one of the most helpful resources on campus, it offers so much more than an office space to sit and talk, and it’s free, so take advantage of that. Sareil is a third year double majoring in Intensive Psychology and Critical Race & Ethnic Studies, and she is affiliated with Stevenson College.